Apple has updated its Investor Relations page on its website to notify its shareholders that it will hold its second-quarter financial conference call on April 24. As is customary with its earning calls, shareholders and press will be able to listen to the call live via the Apple website, allowing iPhone, iPad and iPod touch owners to listen using their devices if they run iOS 4.2 or above, and of course via a Quicktime-enabled computer. 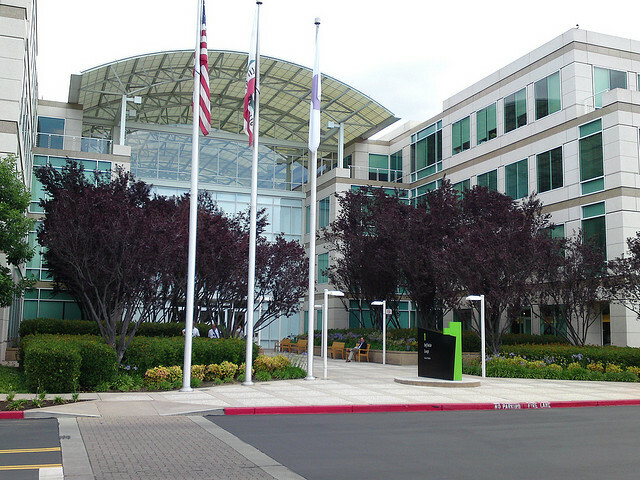 On January 24, Apple released its earnings for its first fiscal quarter of 2012. Apple’s revenue amounted to $46.33 billion, with earnings of $13.87 per share and net profit in Q1 was $13.06 billion. The numbers destroyed industry estimates across the board in every area of hardware sales and profitability aside from iPods. Apple may see a dip in iPhone sales but is expected to announce better-than-expected sales of its new Retina-equipped iPad, which launched earlier in March. 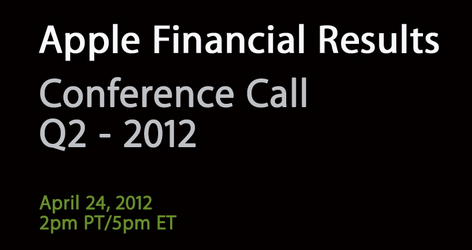 We will be covering the call live and will report all of the Apple news as it happens.